However, there are a lot of people who do not know what travel insurance coverage to buy. Most people even purchase the lost luggage policy or the accidents abroad policy without really knowing that these are quite unnecessary. 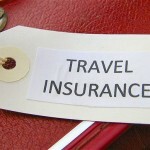 It is important that you should know what your travel insurance policy should cover. You should get trip interruption as well as trip cancellation insurance. These policies are usually sold in bundles. Not most people know, but these are some of the most important travel insurance policies, because it covers losses that are not covered by typical travel insurances that people usually get. This travel insurance policy will cover the time period before your even travel. It will cover the expenses you have paid for your airline tickets, hotels reservations and other advanced accommodations. This insurance will be valid if the cancellation is due to unforeseen events such as illness, accidents, and other unexpected circumstances that affect your travel. Be aware of what the insurance company means about the terms included in this policy so that it will be clear for you if you will get reimbursed or not. Unlike trip cancellation insurance, this policy will cover your time during your trip. If unforeseen circumstances occur and hinder you from continuing your trip, this policy will cover the expenses you incur. Some of your unused prepaid expenses may also be reimbursed by this insurance policy. In claiming your travel insurance compensations, you can get legal help to make sure you get the reimbursements you deserve.